TriValley Running Club hosted another 12-weeks group run events from May 7, 2016 to July 31, 2016. Whether you are beginner or veteran runners, come train with us and support our running community. For San Francisco Half Marathon runners, we will have a half marathon training program and suggested mileage. We have a 12-miler route for 12-weeks of our group run [ TVRC course map ], however, we’ll plan to join RUN365 group course preview events toward the last few weeks of our group runs. 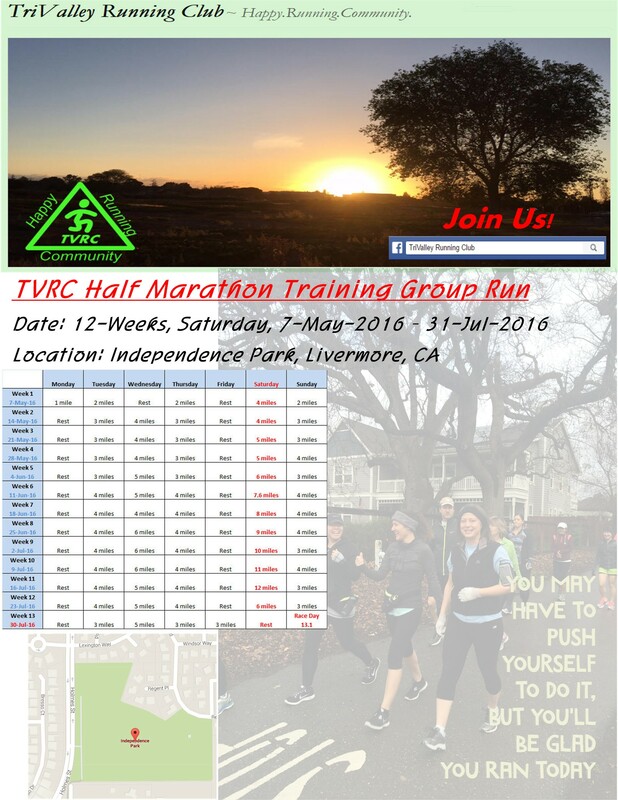 The Week 1 group run will be on Saturday, May 7, 2016, 7:30 AM PST, at Independence Park, Livermore, CA. 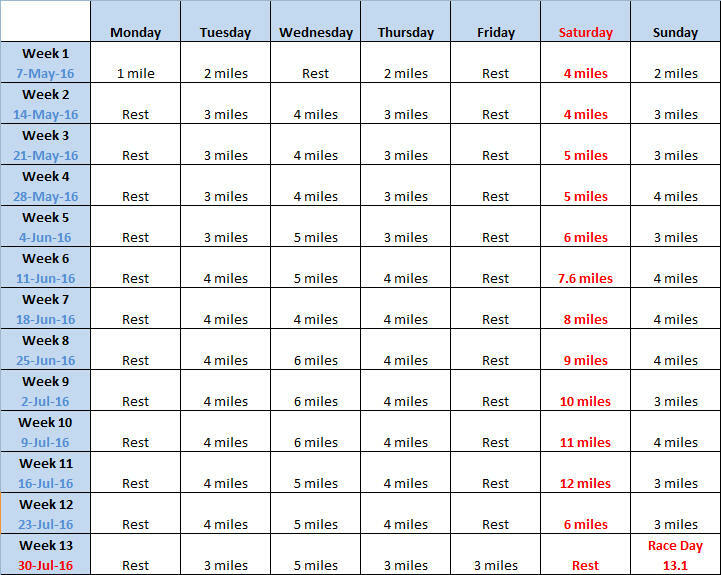 Below is our half marathon training group run plan. We encourage runners to setup weekday runs near where they live and train together. TriValley Running Club hosted 12-weeks group run events from January 2, 2016 to March 19, 2016. Whether you were beginner or veteran runners, come train with us and support our running community. For Livermore Half Marathon runners, we had a half marathon training program and suggested mileage. We used the Livermore Half Marathon course map for our group runs. The Week 1 group run was on Saturday, January 2, 2016. Below was our training group run plan. We encouraged runners to set up weekday runs near where they live and train together.